Original Boer War / Victorian New Zealand Army Slouch Hat Cap Badge - CX26. 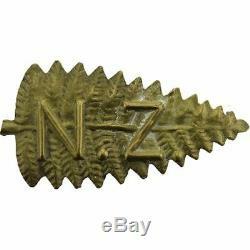 New Zealand Infantry Forces Division / Corps Cap Badge for sale. Please see our other items for more original WW1, WW2 & post war British military cap badges for sale including other New Zealand Army Corps cap badges. For more original cap badges for sale. The New Zealand Expeditionary Force (NZEF) was the title of the military forces sent from New Zealand to fight for Britain during World War I and World War II. Ultimately, the NZEF of World War I was known as the First New Zealand Expeditionary Force. The NZEF of World War II was known as the Second New Zealand Expeditionary Force. Upon the outbreak of the Great War, New Zealand immediately offered to provide two brigades one of infantry and one of mounted troops with a total of 8,500 men. This contingent sailed for Australia within two months of the start of the war and then joined with the Australian Imperial Force (AIF) in a convoy sailing for Egypt. The NZEF was closely tied to the AIF for much of the war. When the Gallipoli campaign began, the New Zealand contingent was insufficient to complete a division of their own, so it was combined with the Australian 4th Infantry Brigade to form the New Zealand and Australian Division under the command of General Godley. This division, along with the Australian 1st Division, formed the famous Australian and New Zealand Army Corps (ANZAC) under the command of General William Birdwood. After the end of the Gallipoli campaign, the NZEF formed its own infantry division, the New Zealand Division, which served on the Western Front for the rest of the war. General Godley was promoted to a corps command and given II ANZAC Corps, which contained the New Zealand Division. From 1916 until the formation of the Australian Corps in 1918 (made up of the five Australian divisions) there were always two "ANZAC" corps I ANZAC Corps and II ANZAC Corps despite the fact that there was only one New Zealand Division to go around. The mounted arm of the NZEF was the New Zealand Mounted Rifles Brigade. The brigade remained in Egypt and, combined with the 1st and 2nd Australian Light Horse Brigades, made up the ANZAC Mounted Division which served through the Sinai and Palestine campaign. The New Zealand Expeditionary Force (later called the 1st NZEF) was finally disbanded on 31 December 1921. At the outbreak of war in 1939, it was decided that New Zealand should provide an Expeditionary Force of one division, under then Major-General Bernard Freyberg. This force became known as the 2nd New Zealand Expeditionary Force (2NZEF) and the division as 2nd New Zealand Division. The first echelon of 2NZEF Headquarters and a Brigade Group landed in Egypt in February 1940. The second echelon, also a Brigade Group, was diverted to Britain on Italy's entry into the war and did not reach Egypt until March 1941. The third echelon arrived in Egypt in September 1940 and concentration of the division was completed just before it was deployed to northern Greece in March 1941. This force remained as part of the British Eighth Army to the end of World War II in 1945 during which it fought in the Battle of Greece (March-April 1941), the Battle of Crete (May), Operation Crusader (November-December), Minqar Qaim (June 1942), the First (July) and Second Battles of El Alamein (October-November), Libya and Tunisia (December-May 1943), the Sangro (October-December), the Battle of Monte Cassino (February-March 1944), the Central Italy (May-December), and the Adriatic Coast (April-May 1945). Under the command of Major-General William Stevens, the 2NZEF began demobilising in late 1945, a process that was largely completed by mid 1946. Please see our other items for more original WW1, WW2 & post war British military cap badges for sale including other New Zealand Army Infantry Forc. Designed by E2E Solutions Ltd. The item "Original Boer War / Victorian New Zealand Army Slouch Hat Cap Badge CX26" is in sale since Saturday, November 24, 2018. 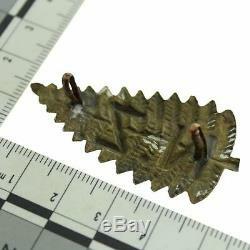 This item is in the category "Collectables\Militaria\Boer War (1899-1902)". 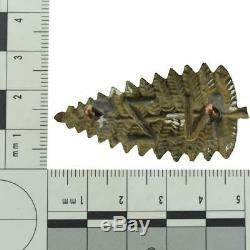 The seller is "britishmilitarybadges" and is located in Bromley. This item can be shipped worldwide.